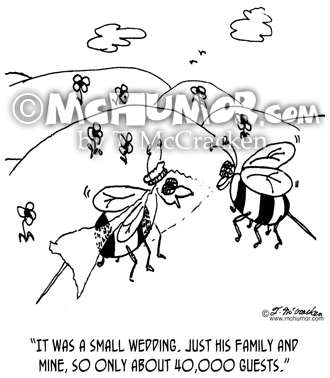 Bee Cartoon 6297: A bee saying to another, "It was a small wedding. 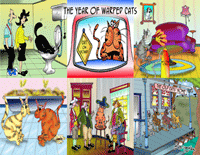 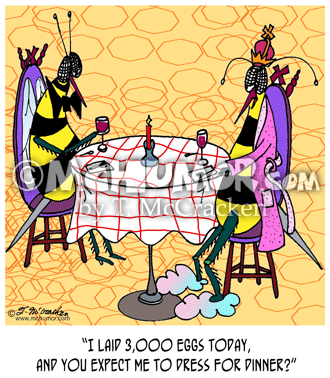 Just his family and mine, so only about 40,000 guests." 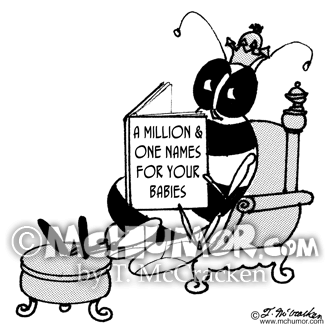 Bee Cartoon 2885: A queen bee reads a book, "A Million and One Names for Your Babies." 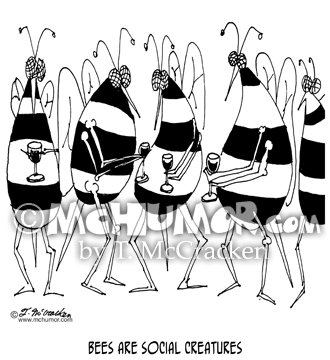 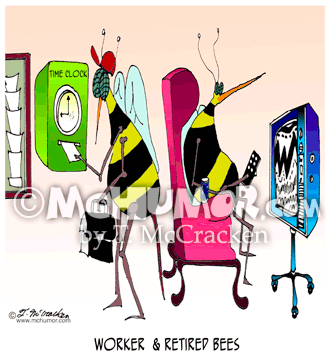 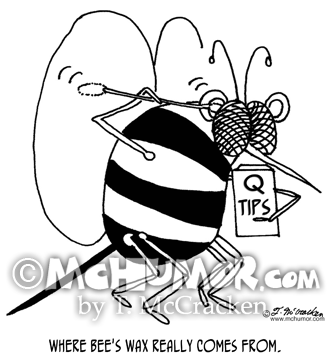 Bee Cartoon 7506: "Worker & Retired Bees.” One bee punches a time clock and another is in an easy chair watching TV. 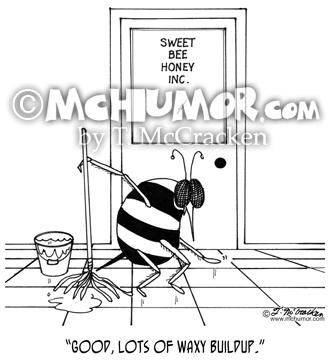 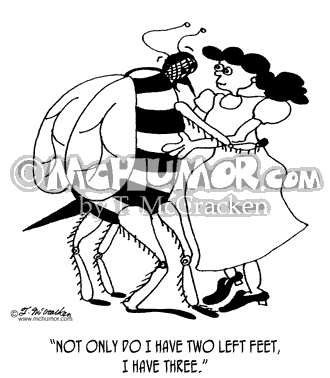 Bee Cartoon 4298: A bee with a mop and bucket working at "Sweet Bee Honey Inc" says, "Good, lots of waxy buildup." 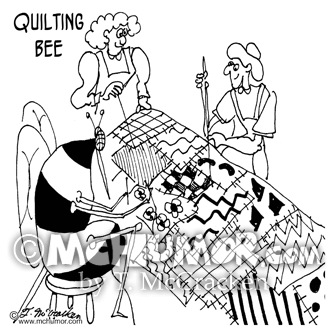 Bee Cartoon 6630: "Quilting Bee." 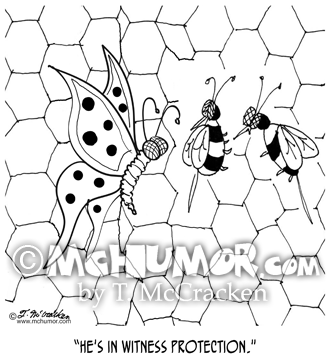 A huge bee sits amongst little-old ladies quilting.